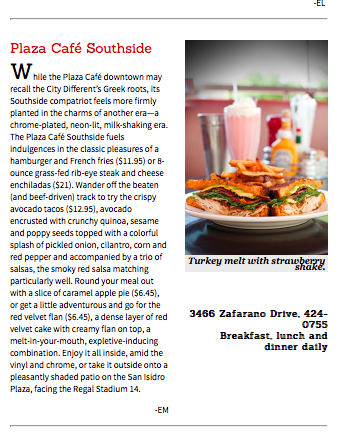 At the Plaza Café Southside, everything on the menu is made from scratch. 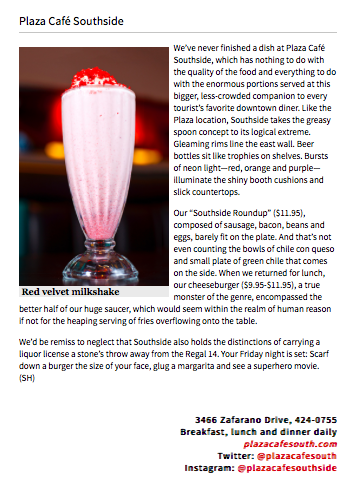 The Southside’s famous recipes have been handed down for generations, and the Razatos family has been serving Santa Fe using fresh, quality ingredients since 1947. But for co-owners Leonardo Razatos and Belinda Marshall, great food is about more than what it’s made of. People who understand cooking know that when a meal is cooked fresh with the best ingredients, it not only tastes better — it makes you feel better. This takes time, so the Plaza Cafe starts early every morning baking their homemade breads, buns, biscuits, and muffins...and don't forget the signature pies, cakes, and cookies! Dessert is a treat not to be missed here. 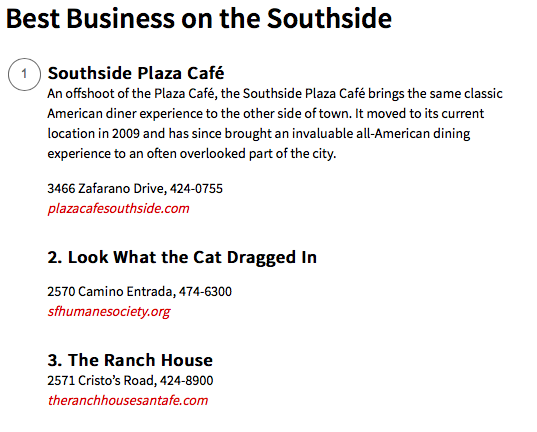 The Plaza Cafe Southside has been named to the Santa Fe Reporter’s “Best of Santa Fe” and “25 Faves” list of top restaurants since 2016, and has been voted “Best Business on the Southside” for four years running. moved to a new home near the Regal Stadium 14 movie theaters in San Isidro Plaza. We use local, New Mexico, heritage ranch, grass fed antibiotic free beef. We only use cage-free eggs. We bake all our pastries and desserts from scratch daily using only the highest quality ingredients. All our breads are from scratch using only the highest quality ingredients. Our corn and flour tortillas are from a local tortilleria, and are free of preservatives and artificial ingredients. Cage free eggs. Served w/hash browns + choice of: house-baked toast (seeded whole wheat, buttermilk white or green chile-cheddar), house-baked biscuits & gravy, English muffin, or tortilla. Red and green chile sauces are medium-hot. All chiles are gluten free and vegetarian. We are happy to provide a sample or you may order chile on the side. We cannot be responsilble for chile that is too hot. Red and green chile sauces are gluten free and vegetarian. We are happy to provide a sample or you may order chile on the side. We cannot be responsilble for chile that is too hot. 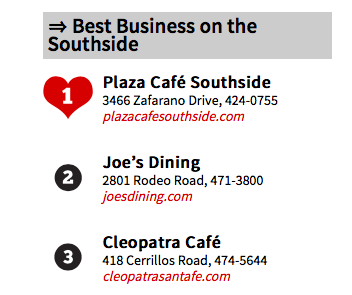 Please ask your server for any additional selections. Let us help you plan your next gathering! We are happy to cater parties large and small. Designed to fit any budget. Please don’t hesitate to ask for a quote. Please allow us 24 hrs to prepare catering trays from this menu. Egg, hash browns, cheese and choice of: bacon, sausage, ham, turkey patty, veggie sausage. Rolled chicken or beef, red or green. An assortment of our most popular cookies sure to tempt every sweet tooth. Best of Santa Fe 2016: Reader’s Choice | You vote. We listen. Don't feel like cooking? We also offer catering, whether you're looking for food to serve at a business luncheon or a special event, check out our catering menu.